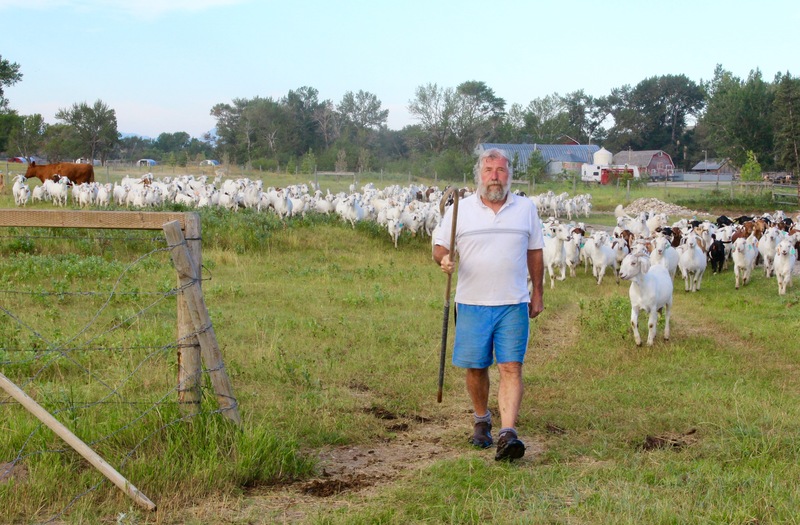 After twenty-five years in the meat goat industry I can say with conviction; it is far easier to lead a herd of goats than an “association” of goat owners. The T.E.A.M. acronym (Together Everyone Achieves More) was popular in the mid nineties when I had the honour and privilege of being a charter member and founding president of the Canadian Boer Goat Association. Our fledgling industry was in its infancy. As a consultant to Landcorp Farming in New Zealand, I was instrumental in the introduction of the Boer Goat to North America. The exotic nature of this new enterprise created an over-heated speculative market that pushed individual breeding stock prices to well over $20,000 USD. A gold rush mentality revealed the fragility of human kindness as greed and self-interest motivated many early “association” members. In the midst of this chaos, I was able to lead the breed recognition process and establish the Canadian Boer Goat Association under the Animal Pedigree Act. I was also able to create our own registry (rather than use the centralized Canadian Livestock Records Corporation) with a requirement for a DNA sample to be filed before an animal could be registered. I believe our DNA prerequisite was a world first for a caprine registry. Self- registering was a also a first in the Canadian goat industry. Perhaps more importantly, however, I was able to convince a very hostile crowd that the initiatives outlined above were essential to the growth of the Boer goat breed in Canada and that New Zealand, French and South African sources would all be recognized equally. My Boer goat experience allowed me to travel to South Africa on several occasions and I was fortunate to be able to spend some time with Dr. Quentin Campbell, the former head of the South African Sheep and Goat Performance Testing Scheme. Dr. Campbell was instrumental in developing the Dorper sheep breed and was also highly respected as a judge in Boer goat circles. His livestock extension expertise was a critical component of the Savanna “survival of the fittest” development philosophy that guided the DSU Cilliers family. It was Dr. Campbell that introduced me to Lubbe Cilliers and my (Keri-Rose) 1999 embryo importation of Savanna genetics was a North American “first”. For these historic reasons I believe I am uniquely qualified to try and create some order in the chaotic Savanna marketplace that exists in the U.S. today. The discussion document, “Registry Reciprocity” was an essential first step in reaching out to Pedigree International breeders who make up the majority of the Savanna crowd in North America. Over the past several months I have been gratified with a new found understanding of the need for greater cooperation between the competing breed registries. I have also become acutely aware of the need to remove “authentic” from my vocabulary and to spell Savanna without an “h”. The next important step in the process of market development will be to assign “ Regional Breed Co-ordinators” who would ultimately develop a truly democratic national “Savanna Association”. At 65 and edging towards retirement, I don’t believe that this is a job that interests me. I will however, coach from the sidelines and would suggest that the following attributes should be prerequisite to those who aspire to leading the breed forward. He/She is guided by the philosophy that all Savanna enthusiasts are legitimate breeders when they provide their customers with a choice of which registry they want their purchases entered into. Let the customer decide which registry they want to support. A minimum of 5 years experience breeding meat goats or other commercial livestock (Not necessarily Savanna full bloods ie understands the value of cross breeding). A good basic understanding of the principles of genetic improvement but willingly accepts the mentoring of a technical genetic advisory group. the importance of “chevon” as a commodity in a competitive red meat environment. Uses valid and verified production information by participating in GHIP (KYSU Goat Herd Improvement Program) or MGGES (TSU Meat Goat Genetic Evaluation Service) or NSIP (National Sheep Improvement Program). Meticulously maintains digital herd records and demonstrates a willingness to contribute this performance data as a ‘social responsibility’ towards promoting Savanna breed development. Works with the technical advisory/extension group to promote performance testing by establishing regional production clubs and communicating with one another through a “GOAT LETTER”. This “letter” would illustrate regional differences in productivity and cost and would thereby enhance the broader meat goat industry development process. Embraces the twin ideals of “Beauty and Utility” as outlined in the South African Savanna Breed Standard, yet understands the fundamental importance of economically important traits, rather than breed ‘fancy points’, to the breed’s future. Will work towards a breed “Enoblement Program” based on genetic merit rather than blue ribbons. Will work towards sanctioned “performance sales” as a priority development issue. Has established a personal reputation for honesty and integrity and in their local area has demonstrated a long term commitment to the commercial livestock sector. This is a trusted community member whose business practices are always ethical. This breeder puts his/her personal integrity behind every goat they sell. In closing, I would like to recognize my indebtedness to the late, Dr. Will Getz. His recent chapters on genetic improvement in the second edition of the “Meat Goat Production Handbook” (Langston University, 2nd edition) should be “required reading” for all those who aspire to Savanna breed leadership. My ideas for Regional Savanna Coordinators are based around the “6 Different Characteristics or Attributes for Longevity in the Livestock Breeding Business” (pp 288,299) that he adapted from Bourdon (2000). I hope that I can count on all of you to come forward with your suggestions and your passionate commitment to the Savanna breed. We live in a huge country that can offer opportunities for us all if we embrace the concept of T.E.A.M.. I am gathering my strength to return to more active writing about the status of our industry. Thank you for your comment.